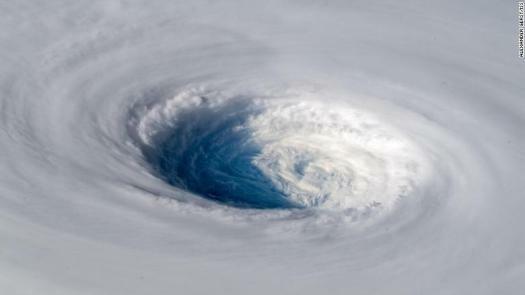 Stunning images of Typhoon Trami, currently projected to make landfall in mainland Japan on Sunday, have been captured by an astronaut on the International Space Station (ISS). “Staring down the eye of yet another fierce storm. Category 5 Super Typhoon Trami is unstoppable and heading for Japan and Taiwan. Be safe down there!” he wrote. By Wednesday, the storm had weakened and it is no longer considered a “super typhoon.” But with sustained wind speeds of around 195 kilometers per hour (121 mph), its strength remains that of a category 3 hurricane, and the islands in the storm’s projected path are bracing for its arrival. The storm is the fifth super typhoon to hit the western Pacific this year, CNN meteorologists say.